Melissa Richards remembers always driving by the Dunlap clinic growing up and thinking to herself that she would one day work here. 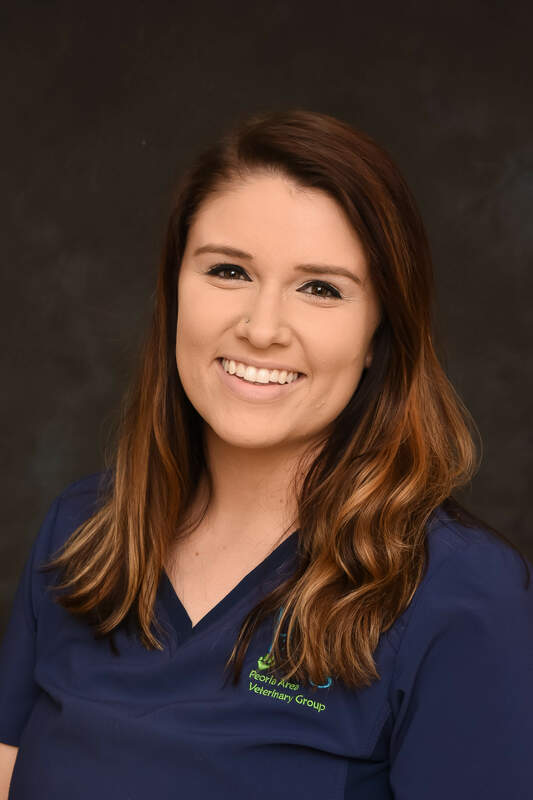 Well in 2014, an opening came up for a kennel assistant, and we hired her—since then she has also worked here as a boarding coordinator and a receptionist, and now she is one of our amazing veterinary assistants! Melissa is the proud new owner of a two-year old doggie named Midnight, who loves to swim and also loves to give wet, sloppy kisses! Midnight is a sweetheart who loves all people and all other animals. When Melissa isn’t working or at school, she enjoys relaxing at home and hanging out with all the humans and pets that she cares about.